Let's be honest: all too many men aren't used to shopping for their own clothes. Sure, they may pick out a shirt here and there, but for the most part, a truly fashion forward man in a rare breed. In Charlotte, you're in luck if you're a guy that's looking to dress to impress, but need a little help to do it. 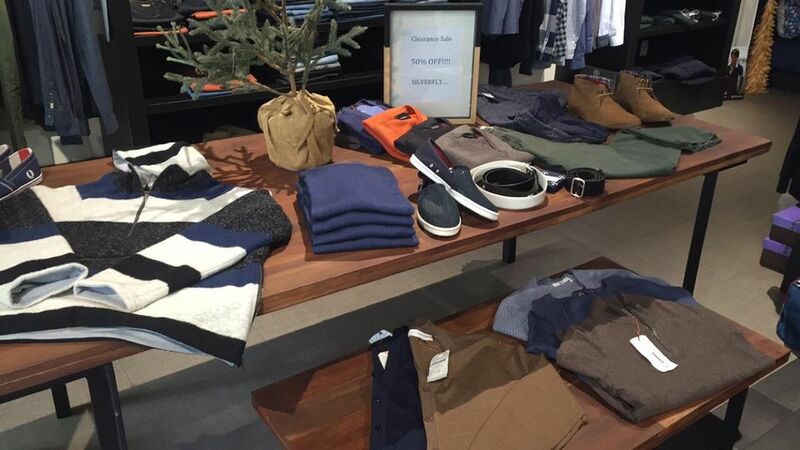 Here's a look at three of Charlotte's best boutique shops for men. Each of these boutiques has knowledgeable guys to help shop, and each one has tough to find fashions, great looking accessories, and the latest essentials for men. SILVERFLY (which opened in 2012) is located at the Metropolitan in Midtown, and offers "definitive destination for polished and reinterpreted menswear classics, including clothing, shoes, and accessories." The first store went so well that there's a second store opening dedicated to active and adventure wear. From the highest quality workout to hiking accessories to sweaters, suits, shoes, and watches, SILVERFLY is one of Charlotte's go-to spots for men's clothing. SILVERFLY was voted "Best Men's Store" by Charlotte magazine. Tabor is headed by Laura Vinroot Poole, who made the list of best women's boutiques with Capitol. Situated in an old 1920s Myers Park home, Tabor carries tough to find men's brands like Thom Browne, Cuisse de Grenouille, Mark McNairy, Rag & BoneDries Van Noten, Thom Browne and Steven Alan. The shop cites North Carolina's motto: Esse quam videri (to be rather than to seem), as inspiration for their sophisticated but casual sportswear. Also located in historic Myers Park, The Sporting Gent is Charlotte's king of casual wear with "a selection of fine outdoor and casual brands." Whether Charlotte's men are headed outdoors or headed to a swanky dinner party Uptown, the Sporting Gent can dress them. The shop’s brands include names like Southern Marsh, Drake, Costa, Atlantic Drift and more. The Sporting Gent claims that their mission is much the same as the south's - to "remember and relive the days gone by, the yester years, the bygone era" by outfitting "the true sporting gent in every man in Charlotte."